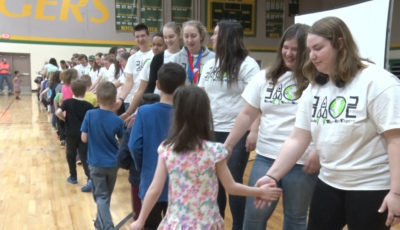 There are around 30 student clubs at Central Lakes College, but one unique club just got its start this year. The CLC Audio Club was formed in the fall and recently celebrated the release of their first CD that was written, produced, recorded, and compiled all by CLC students and faculty. Recording his song, “Death by a Broken Heart,” was something that student Connor Nichols had always dreamed about. 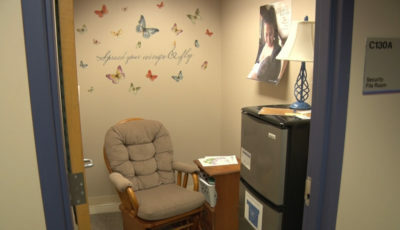 “My song “Death by a Broken Heart” is an acoustic song, but it’s also got kind of – it’s got a mix,” said Nichols, member of the CLC Audio Club. It wasn’t until this year when students at Central Lakes College came together to form the Audio Club that it became a reality. The Audio Club was formed in the fall semester to give students the opportunity to learn the possibilities that audio recording offers. “I knew students were writing and I wanted to encourage them to keep writing and that they didn’t have to go to a studio that costs a thousand dollars a day. You can use home recordings for radio-quality or presentable pieces of earnest and honest artwork,” explained Mark Lindquist, CLC Audio Club advisor. The CD became a vision of the club, and students worked all semester on every step of the process from beginning to end to create the CD. “At first, it was really weird because I have never produced any music in front of a big microphone or anything. So it was really weird, but it was awesome to kind of see it all come together,” said Audio Club member Kate Olson. There are 10 total tracks on the album, and each one is written or arranged by a CLC student of faculty member. 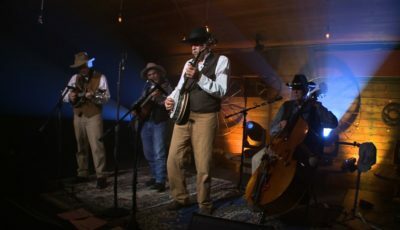 “We did everything ourselves, from the artwork, to the production, to the songwriting, to the playing of the instruments,” added Lindquist. 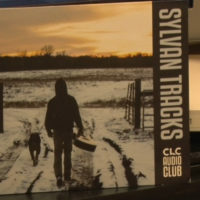 The club titled the CD “Sylvan Tracks,” which they thought exemplified the album’s acoustic themes. “Once we got a feel for, kind of, how all the songs sounded, we really pushed in that direction from the song titles to the artwork. We tried to keep that thread of this area’s rural, artistic aesthetics,” Lindquist explained. The club says that the recording process of the CD has been very rewarding for all those involved. The CLC Audio Club will work on and release their second album next year and hope to take it in a whole new, unique direction. “I want to change the medium every year. 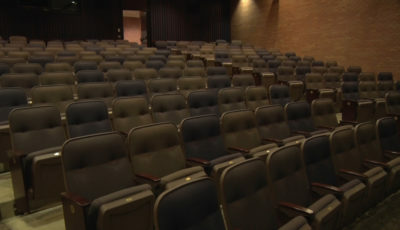 One thing I want to teach the students is that they control how their audience listens to it,” said Lindquist. “Next year, I can only imagine the things that could happen if we continue because I see a lot of potential in this group,” said Nichols. The Audio Club’s CD is available for purchase in the Central Lakes College bookstore for $10.